Blog - What are Promotional Stubby Coolers Made From? What are Promotional Stubby Coolers Made From? A cold beverage puts things into perspective, regardless of the place or time. And for us Aussies, we love our socials and cold beers, ciders and cold drinks. Which means the best present you can give an event attendee is a stubby cooler to help them remember the fun they've had! You can select from a variety of shapes, from vests to jackets, as well as enjoy customised decoration and branding. When selecting a stubby promotional cooler, it's important you weigh up value for money with durability regarding whether you order a foam or neoprene drink holder. Stubby coolers are used on vacation, picnics and even holidays. Made to only hold one bottle or can at a time, these coolers are the perfect companion and are now so advanced such that they can fit any size or shape. However, there is a difference between foam and neoprene stubbies. The more cost-effective stubby coolers are made out of foam rubber. These items are cheaper and can be manufactured from different densities of scuba foam. They don't have the same level of insulation as neoprene, but they do help maintain an ideal temperature for your drinks. 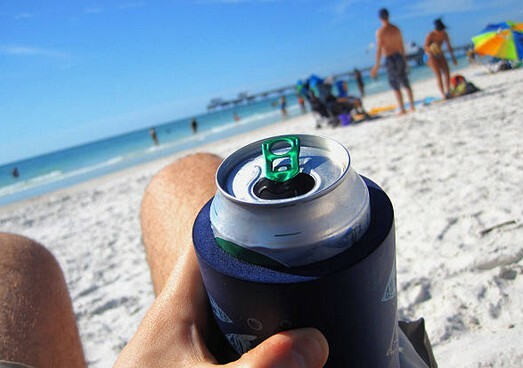 The most popular koozies are those made out of neoprene, the same material used in manufacturing wetsuits. The neoprene coolers are more durable, have higher flexibility and way better insulating product than any other in the market. Okay, so now you know that the best cooler to get is either neoprene or foam, but you are not exactly specific on how to tell them apart? Well, that’s the most natural part. Check the stitching. Usually, foam koozies have straight stitching inside, not visible when turned inside out. Neoprene koozies have a visible zig-zag stitch externally. Should that fail, then you should consider pricing. The most expensive stubbies are those made out of neoprene! They are worth every single cent.